UIST® F79W is a powerful all-in-oneIP based security surveillancecamera, which allows you to monitor your premises from anywhere, anytime at minimum cost. 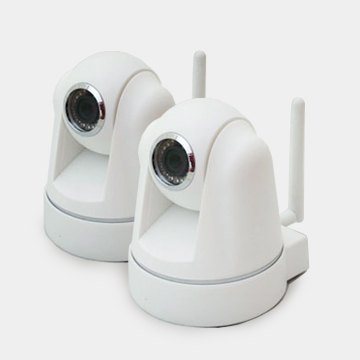 Easy Remote Access - not only it allows users to view the live surveillance video from a standard computer or a smartphone remotely, but also it allows users to control the angle, brightness and all other parameters remotely. Built-in Web Server – itspowerful built-in web server allows streaming live video online,and it automatically saves the videoon a specified computer over LAN or internet. There is no need forexternal web server and digital video recorders. Simple Installation – because it is wireless and it doesn’t require additional web servers to run, it is truly a plug-in-and-play device. Cost Saving – because there is noneed for wiring,web servers, video recorders and expensive installation fees, it is much cheaper compare to setting up a traditional surveillance camera system. We have a wide range of smart security cameras to suit different types of premises. Please feel free to contact us to speak to one of our helpful business consultants to find out the best option for your business.